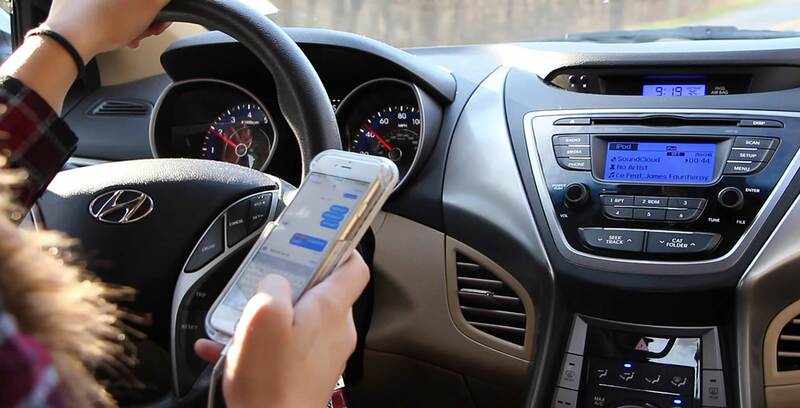 A British Columbian Supreme Court Judge ruled on March 1st that the “mere presence of a cell phone within sight of a driver is not enough to secure a conviction,” according to court documents from the ruling. This case sets a precedent in B.C. and possibly the rest of Canada that merely having your phone or some other kind of electronic device on the seat of your car within line of sight doesn’t constitute a distracted driving charge. It’s still illegal to “use” your phone while driving, according to section 3.1 of the B.C Motor Vehicle Act. B.C.’s Traffic Court initially found Philip Partridge guilty. He then brought the case before a B.C. Supreme Court judge and won, according to Global News. A police officer charged Partridge with distracted driving when the officer saw him looking down. When the officer charged him his phone was wedged in the passenger seat, according to the court documents, but he was never actually seen using it. If drivers want to use their phones in B.C. and they’re not legally parked they have to make sure “that is configured and equipped to allow hands-free use in a telephone function, is used in a hands-free manner and is used in accordance with the regulations, if any,” according to the B.C. Motor Vehicle Act. While that line of the law is very vague, it means you can have your phone mounted to the dashboard of your vehicle, but you can’t physically interact with it. Failure to comply with these rules nets you a $346 fine in B.C. and three penalty points.